I was saddened this week to hear that Sears has filed Chapter 11. 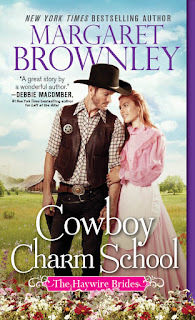 The company has appeared in so many of my books, it feels like I’m losing one of my characters. 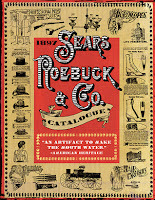 Among my favorite resources is a Sears Catalogue dated 1894. I use it to research fashion, furnishings, vehicles and just about everything else a household would have needed back in those early days. Prices were clearly marked, along with full descriptions—a writer’s dream. The company was originally started in 1886 by Richard W. Sears in Minnesota to sell watches. 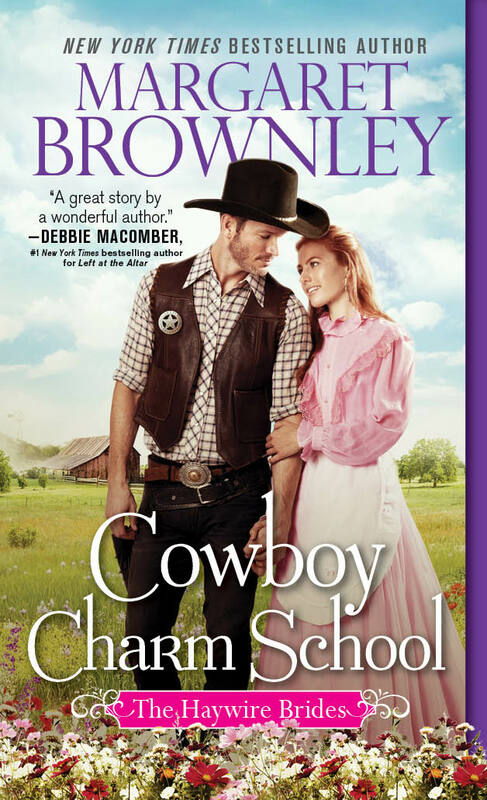 The idea came to him while working as a railroad agent. A jeweler received a large shipment of watches, which were unwanted. Sears purchased them and sold them to the railroad agents, making a handsome profit. A year later, he moved to Chicago and hired Alvah C. Roebuck to repair watches. Together they established a mail order watch catalogue, which proved to be a great success. However, Sears was a restless type and always looking to improve. He didn't have to look far. At the time, farmers living in rural areas had to purchase products from the local general store on credit and at high prices. Shopkeepers would decide how much to charge by estimating a customer’s credit-worthiness. Choice of products was also extremely limited. 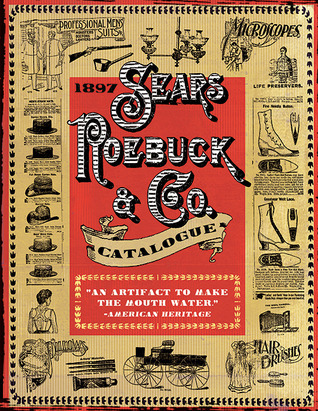 Sears decided to take advantage of this by offering a catalogue under the name Sears, Roebuck & Company. His timing was perfect: The government’s Rural Free Delivery Act opened delivery routes in rural areas, allowing for wide distribution of the catalogue. Houses actually came in the mail. The catalogue featured a large selection of products at clearly marked prices. Customers were drawn to the easy-to-read, warm, friendly language used to describe goods, and the catalogue proved an instant success. By 1895, it had grown to 532 pages and featured such items as sewing machines, sporting equipment, household furnishings, tombstones and barber chairs. 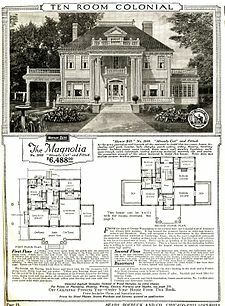 It was even possible to purchase an entire house from Sears, delivered by train. In 1905, automobiles were added to the catalogue. It even sold a “Stradivarius model violin” for $6.10! The catalogues served more than one purpose. They ended up in the outhouses to be used as toilet paper. Those Victorians didn’t waste a thing! Sears opened its first retail store in 1925 and, for years, was the largest retailer in the United States. Many reasons have been cited for the company's demise. Critics claim the company made many mistakes and couldn’t keep up with the likes of Walmart and Amazon. This might be true, but Sears taught America how to shop and for that reason, its legacy will no doubt remain intact. 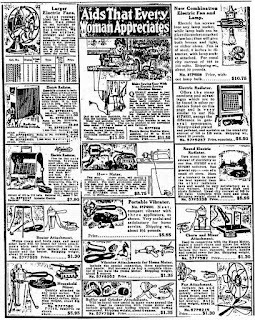 As a kid, one of the highlights of Christmas was to get the Sears and Montgomery Ward catalogs and pore over the contents, marking pages and making that list for Santa! I never would have thought of using the catalog for research! Thanks for the post! Connie, yes, that truly was a highlight in my family, as well. What a treasure to have the catalog. Like Connie, one of the highlights of Christmas for my brothers, sister, and I was to spend hours with the catalog reading it and circling what we wanted. Good memories! Hi Linda, yes, those sure are good memories! The catalogs would keep the kids busy for hours! 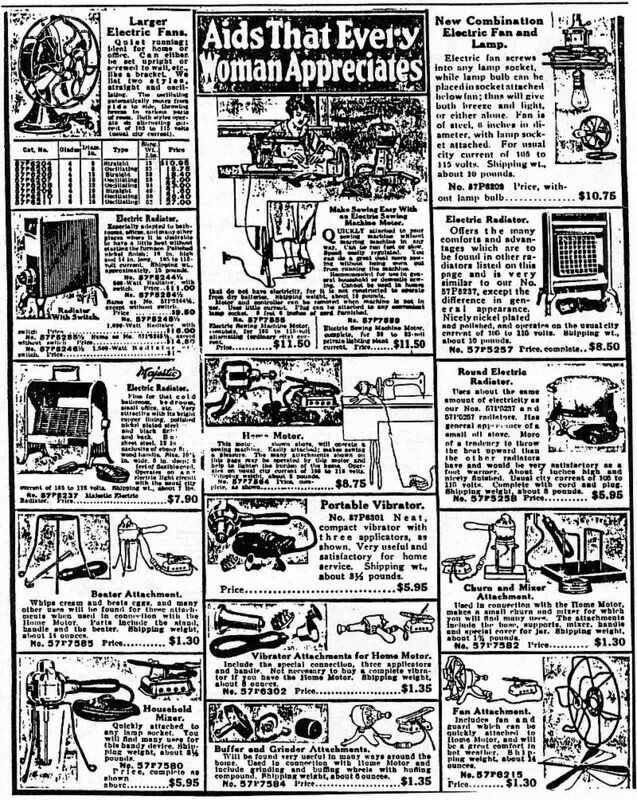 I always loved Sears and looked forward to the Christmas catalog every year as a child. What fond memories we have of those old catalog wish books! It's sad to see Sears go. They closed one store in our town, but there is still one open, I believe. I have several of their old catalogs and use them for research, besides just enjoying browsing the pages. I agree, Vickie. It is sad to see it go. We had one local store, but I didn't like going there because they lowered the lights to save money. It was dark and dreary--just a shadow of its old self. Aurora, Illinois, has a self-guided tour available of Sears "kit" homes. Fascinating. Our local store says it will stay open. It's sad to see the old companies struggle to remain relevant. I use reproductions of their old catalogs ... and the Montgomery Wards one, too. One of my favorite prairie photos shows a Wards treadle sewing machine outside a soddy.